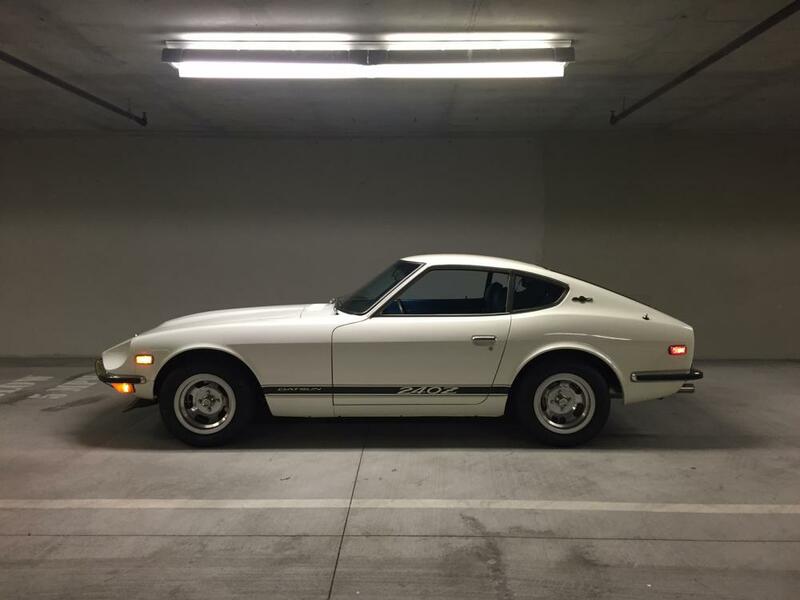 I am in the market for an original 240z and wanted to reach out to see if any members are considering selling or know of a one for sale. I’m looking for a better to great condition Z and prefer it to be all original. I have been looking nationwide so I’m pretty familiar with what’s been available. Im willing to pay a decent amount for the right car. No color changes, engine bay painted black, body kits, V8's, etc.. Original only. I would consider one respray in the orignal color. What about a Series 1 that's been "lovingly resurrected"? Lots of new metal due to rust, (floor pans, rear quarters, NOS fenders, hood, passenger rocker panel) but has numbers matching and fully restored engine, all new rubber and bushings, rotisserie restoration with 903 paint and black interior (new carpet and seats, dash restored, original vinyl and plastic panels). Runs great, handles better. "Everything is original including the pain." 240TOM, I'd prefer to do the loving restoration part my self, since everyone has their opnion or level of what a restoration is... some might be better than mine or worse. I would certainly like to see the car and get a price if possible. Thanks motor man. Yes, Ive seen and have contacted the seller before. I dont blame him for pricing up so high but it's gotten a bit out of hand lately. 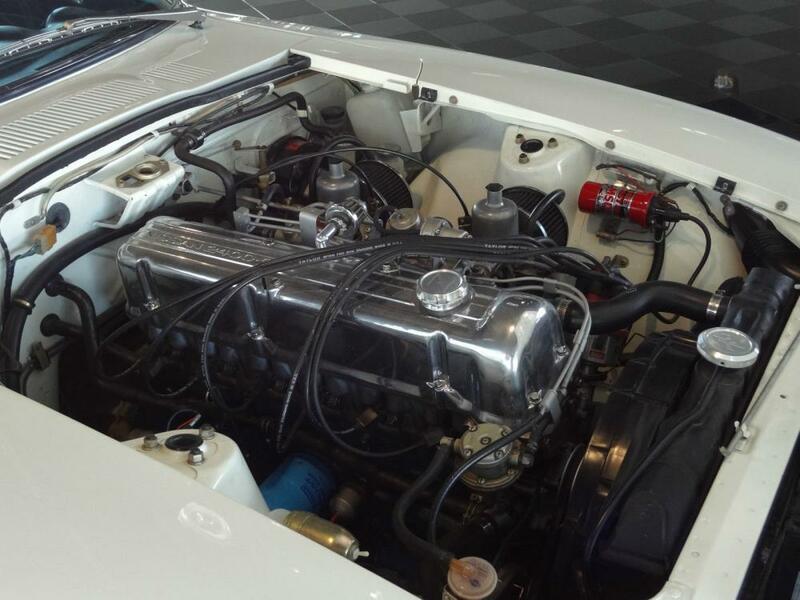 Thers a guy selling a very clean, original 240 asking $75,000. If it was one of the Nissan's Vintage Z program cars, I would see it as a $35-50K car but its not so 75K is just crazy. 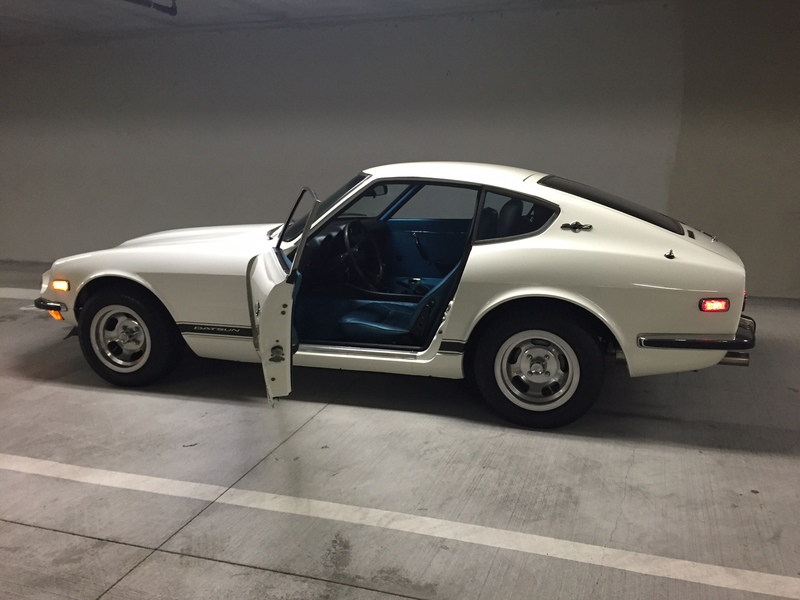 I passed on a good one from the original owner that was local to me because I was waiting for another seller to accept my offer of $25K on a 12,000 original mile 240z.It was sold for $30K to another offer and so I missed out on both. I am picky but I'm willing to pay for it. I might help us all understand what condition car you're looking for if you wouldn't mind picking between these two cars as your preferred starting point. 1. Car is all original, complete, low miles (10-30k), only minor wear to most components. Rust free. Paint is fine as is. Everything works. Comes at high price. Series 1 car, $30-40K. Series 2, $25-30K. Less than $5k to bring car to near 300 pt perfection. 2. Car is 95% original, missing items easily available. Low rust, medium mileage. Paint and body needs to be redone, minor rust handled, as expected with age and usage. Has had some simple practical upgrades to brakes, suspension, electrical. Series 1 car. Rare color combination. Nothing done that can't be undone easily to pure stock. Running, driving, insured, safe everything works. Price is lower, $12-15K but needs time and money into restoration to make it really nice like #1. I would say almost between the two would be the a good starting point and option 1 series 2 as the top choice if it's truly a 10-30k mile car. On the starting point, It doesnt have to be perfect, but original, straight, faded paint OK if orignial paint or one respray with no filler or bondo work, and prefer no rust to minimal surface if any. Thank you all for your help. I finally purchased a 71 this past weekend. Ground up restoration a few years back and it was very well done so I'm happy. I look forward to sharing and contributing to the forum. OK, here are some pics. 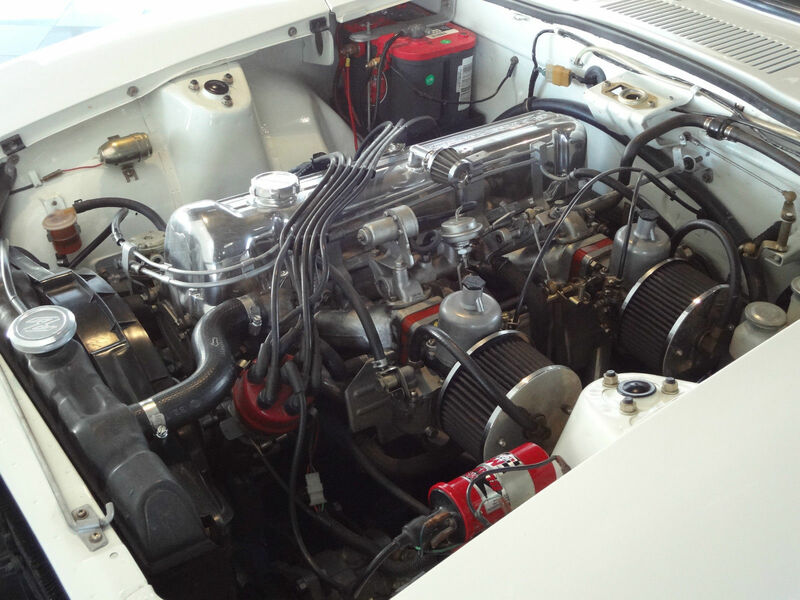 The car was restored and it was done very well. I'm very happy with it and it's pretty much what I would have done if restoring one ground up. It had some funky side view mirrors mounted to the window trim and window frame which I already removed. I will be mounting a factory unit only on the drivers side. Im glad im only dealing with the trim vs aftermarket mirrors mounted onto the doors which would have required body/paint work to reverse, so it's the lesser of the evils in my book. I should be getting my new mirror in tomorrow from Nissan. Its a series 1 finished in 904 Kilimanjaro white on blue interior. I wasn't too sure about the blue and prefered red or black, but its growing on me and looks great while driving on a sunny day. 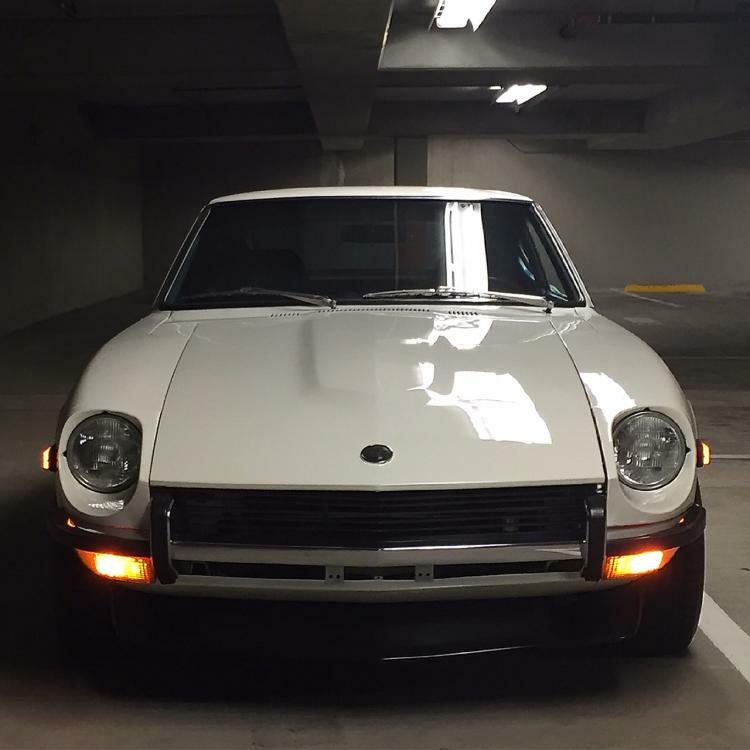 I'm very happy to be back in a 240z. Very nice, my first Z was white, enjoy. Very nice car. I hope you got it for a reasonable price! Like the colour combo too.... unique. Edited January 14, 2016 by wheee! Nice Series I, Oemz! Did you find the car in California or somewhere else? Congrats!!! That's a great looking car. I love the color combo too. I have a soft spot for blue interiors, as I have a blue on blue '70. Beautiful Z Steve. I've seen pictures of your car on the internet while searching for one and admired it very much. Your engine bay is immaculate, factory looking and how I prefer mine to be. I've just came to the conclusion that I want a Z I can drive and enjoy without worrying too much about how original everything is. I already have a 1988 300zx Turbo Shiro SS with 8k miles and a 1991 300zx Twin Turbo with 15K miles that fulfill that, and I can't enjoy them as much other than a few shows throughout the year. I don't know, looking at your engine bay now just makes me now want to go all factory with the right plating, factory Airbox, etc. and make it look correct. I love that also. We'll see. Yes, it was in San Jose, Ca. I flew out there and drove it back to LA. I believe this car belonged to a member here prior to the person who I bought it from. It was also once sold on Barret Jackson from my research. Beautiful car! Thanks for posting the pics. The white and blue combo is fantastic in my opinion and very rare! The only combo more rare appears to be 903 Blue with Blue interior to suit. Sadly I've never seen an AU market car in that combo. Glad you ditched the mirrors and looking at de-chroming the valve cover. Are you sure the valve cover is chrome and not highly polished? I already installed the mirror and very happy with the outcome. I'm taking it for an early drive tomorrow morning and will probably stop by the Cars & Coffee, so I'm excited. I'll double check when I get home. I'm looking for more of a raw aluminum finish personally so I might have it hydro blasted depending on the finish. You sure found a nice car fast. Others have looked for years for their "ideal" car. BTW.. white z's are chick magnets.